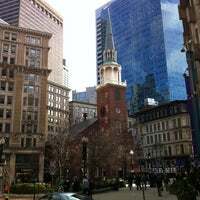 Built in 1729, this was where some 5,000 colonists gathered on December 16, 1773, for a protest that culminated that night in the Boston Tea Party. 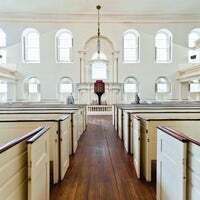 In existence for more than three centuries, Old Ship Meeting House has been in continuous religious use longer than any such structure in the United States. While here, inquire about upcoming events; this building often has guest lecturers or speakers present in the main meeting hall. 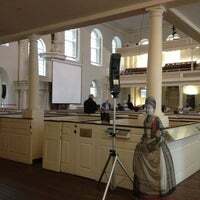 Interesting to see modern issues discussed in a historic building. 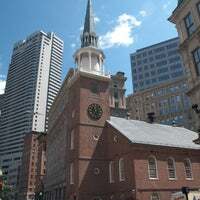 It was at this location that Samuel Adams spoke his famous words, “Gentlemen, this meeting can do nothing more to save the country,” and the Tea party started. 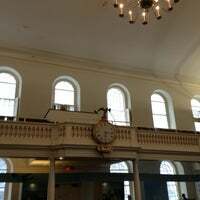 When you visit, listen for the bell in the clock tower! 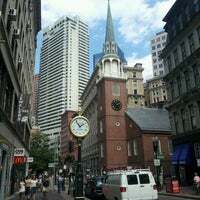 It's a Paul Revere original that was installed in 2011! Great place to meet a friend! 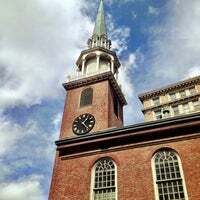 Visit Old South Meeting House to see where the Boston Tea Party began and experience the dramatic events that made this the “Sanctuary of Freedom”. 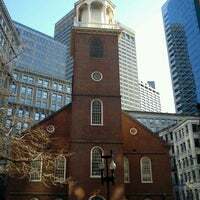 It was here on the 16th December 1773 that 5000 colonists gathered to protest against tax on tea leading to the Boston tea party. A building with an interesting relationship with free speech. No taxation without representation! 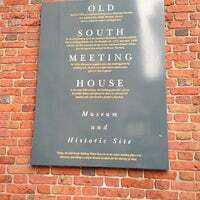 The Old South Meeting House was the birthplace of the Boston Tea Party. 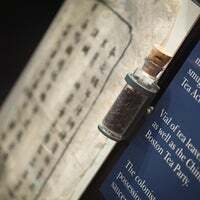 In 1773 three British ship pulled into Boston’s port carrying over 100,000 pounds of tea. 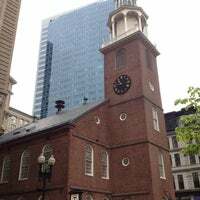 Boston Patriots met here at Old South Meeting House to protest the tax once and for all. History! Both sides of the street! Free wifi at readers Park! 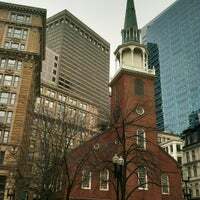 Step inside Old South Meeting House on Boston's Freedom Trail and experience the place where the Boston Tea Party began! 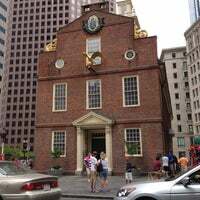 "One of the nicest gift shops on the Freedom Trail. Lovely historic Boston mugs. They now assign you a Revolutionary character on your pass, which is fun." "If you want ambiance and vintage this bookstore is the right place. Grab a thriller by bestselling author, Cherie De Sues and read at the water's edge. 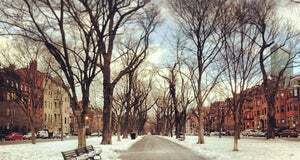 Lacy: A Bad Girl's Romance is set in Boston." 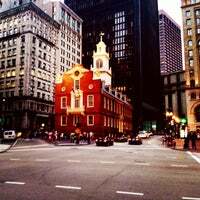 "Cok mukemmel bir aksam yemegi et ler bir harika"
"Everybody should go to the reenactment of the Boston massacre in the trial in this monument is awesome. I highly recommended for families. 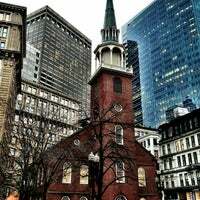 It is an important part of our history, the revolution and so"
"Clam chowder in a bread bowl with a Sam Adams at the Oyster Bar! Seats always available and you're missing out if you go anywhere else!" 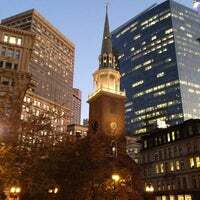 "Otantik ve görülmesi gereken bir yer Tam Boston"